Greek Prime Minister Alexis Tsipras promised to submit a new list of austerity measures following a summit of European leaders in Brussels on Thursday. A statement issued by the European powers and Greece Friday morning declared, “Greek authorities will have the ownership of the reforms and will present a full list of specific reforms in the next days.” The reforms are part of the agreement Greece reached with the Eurogroup last month. The political representatives of the European banks have taken Syriza’s measure, responding to its abject capitulation last month by pressing for ever-greater commitments to austerity. Led by Germany, European governments insisted in the lead-up to the summit that the Syriza-led government in Greece begin imposing concrete measures or risk being cut off from any further loans. Athens requires billions in additional loans in the coming days and weeks to avoid defaulting on its debt of €320 billion. “Technical talks”, stipulated by the February agreement to finalize the measures that Greece must impose, have been held in Brussels, Athens and Paris over the last week. They have not, however, produced a final agreement. This was the cue for the EU, European Central Bank (ECB) and International Monetary Fund, known as the “troika,” to put yet more pressure on the bankrupt Greek state. 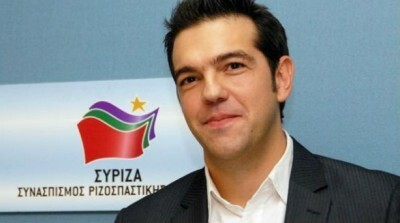 Tsipras requested a meeting on the sidelines of the summit with leading political figures in France and Germany, as well as representatives of the EU’s main institutions. The three-hour meeting, held last night, was convened by European Council President Donald Tusk. Attending were German Chancellor Angela Merkel, French President François Hollande, ECB chief Mario Draghi, European Commission President Jean-Claude Juncker and Eurogroup head Jeroen Dijsselbloem. Merkel has also invited Tsipras to Berlin for further talks Monday. However, she made clear that neither the talks at the summit nor Monday’s talks would change anything, and that Greece had to comply with the February 20 agreement. On Wednesday, the European Central Bank lent Greece just €400 million of emergency liquidity assistance (ELA) funds, instead of the €900 million the Syriza government requested. The Greek banks are only being kept afloat due to their temporary access to ELA funds. Fears of a Greek exit (Grexit) from the euro zone have imperiled the nation’s banking system, with the ELA funding now barely covering the amount being withdrawn by depositors. On Wednesday, depositors withdrew between €300 and €400 million from the banks, the largest outflow of funds since the February agreement was signed. On the same day the Tsipras government passed a “humanitarian bill” in the Greek parliament, at a cost of just €200 million. The bill provides free electricity and food stamps to some families in dire poverty. Under constant pressure from its creditors, Syriza had already drastically scaled down the humanitarian program from a still inadequate €1.8 billion euros. Even this was unacceptable to the European Commission, which sent Greece a note Tuesday warning that the legislation could be seen as a “unilateral” action and therefore a breach of the February agreement. No elected government could do so, he suggested. The US government has also stepped up its intervention in the crisis. Greece’s location means it plays a key geostrategic role in the NATO alliance. As the US ramps up NATO’s provocative encirclement of Russia, the Obama administration cannot afford a scenario of Greece being forced into the orbit of Russia. Senior Syriza figures, as well as Panos Kammenos, the leader of coalition partner, the Independent Greeks, have suggested that they would consider approaching Russia as an alternative source of funding, if they were unable to reach an agreement with Europe.